Establishing a global R & D hub in the Helsinki region for Indian data analytics company GrayMatter was a no-brainer. From introduction to the integrated network of Finnish support organisations by Helsinki Business Hub, through to Finnish company set-up, and even Finnish company acquisition and Finnish public funding, GrayMatter’s experience of establishing its presence in Helsinki has been plain sailing. Helsinki Business Hub has been there to facilitate every step of the way. The investment is potentially significant. Around 150+ data analytics and big data experts will populate GrayMatter’s Helsinki R&D centre over the next 10 years. One acquisition has already taken place and others cannot be ruled out. It is the Helsinki region that will play host to GrayMatter Software Services Oy and further development of its Airport Analytics (AA+) product which provides business intelligence and decision support system to airport management through the analysis of myriad sources of data. GrayMatter’s expansion to Helsinki began with a series of meetings in the Finnish capital between Mr Saidu, GrayMatter CEO Vikas Gupta, the team at Helsinki Business Hub and the organisations that have since facilitated GrayMatter’s Finnish company set-up and success in Helsinki. In addition to the meeting with Finavia, GrayMatter also met with Helsinki’s digi-business and airport clusters as well as Finitec (Finland’s largest IT Contract Recruitment Agency) and HPP Law (one of the leading business law firms in Finland). From this early stage Mr Saidu was struck by the collaboration between these organisations, working as a team to find the best solution for the visiting Indian company. Finnish company set – GrayMatter Software Services Oy – soon followed. The relationship with Tekes has indeed been productive. In June 2014, around 16 months after the initial visit to Helsinki, GrayMatter Software Services Oy received Tekes funding for performing R&D in its Airport Analytics (AA+) product. GrayMatter had approached Tekes for a three-year R&D investment plan for over €10 million to take its AA+ product far ahead of anything seen in its category. AA+ will transfer airports’ traditional financial business performance into real-time operational performance and graduate to enhancing the passenger experience significantly. Predictive modelling optimising non-aeronautical revenue, minimising security risks and improving on-time performance, in addition to managing environmental and safety norms, are the key objectives of this funding. Tekes has approved close to €3 million for the first year. The Helsinki Business Hub team was a key contributor to GrayMatter’s growth in Finland, providing solid support and the validation of important information whenever required. “We are very happy to see foreign companies thrive here in Helsinki. The Talents acquisition is yet another successful stepping-stone for GrayMatter in its quest to establish a global R&D centre here,” said Micah Gland, Deputy Chief Executive Officer of Helsinki Business Hub. Mr Dsouza confirmed that Finavia’s role in business validation and the ease of establishing a company in Finland were the primary drivers behind setting up GrayMatter’s Helsinki operation, but the issue of Finnish talent runs through every decision made. Mr Kozak and his team of eight data technologists are prime examples of this talent. “When we decided what the Finnish operation should look like we knew the primary aim should be an R&D hub with a world class knowledge team,” Mr Dsouza said. Apart from Talents Technology Oy, this meant access to fine minds from Helsinki’s excellent university campuses and also the talent nurtured by Nokia. Mr Dsouza confirmed that all hires will be local and all staff – whether through acquisition or direct hire – must be able to deliver as a team. So, launched in 2006, GrayMatter has now grown from an Indian business intelligence and data analytics company partnering with technology providers like Pentaho, SAP and Oracle, to a company with an increasingly global footprint and a keen eye on reducing business intelligence costs for end-users. Importantly, over the last three years, GrayMatter has shifted purposefully into providing industry-specific vertical solutions and has built tailor-made products for the aviation, finance and manufacturing sectors. Helsinki’s role in all this has been to provide an investor-friendly location in which to perfect the GrayMatter product for the world’s airports, to offer world-class talent for hire, to fund the next steps and to provide a team of experts in Finnish company set-up to hand-hold through the entire process. GrayMatter Software Services Oy, established in 2013, is a wholly owned subsidiary of GrayMatter Software Services Private Limited in India. An ICT consultant and solution provider with core focus on business intelligence, data analytics, Big Data, DWH modelling, data discovery and reports optimization, GrayMatter is recognized worldwide for its solutions & services based on collaboration and innovation. It is known for its innovative industry-specific analytics products and BI services, using best-of-breed technologies guaranteeing significantly higher returns to clients. The company is headquartered in Bangalore, India with global offices in USA (Dallas, Texas), Finland (Helsinki), UK (London), Middle East (Abu Dhabi) and Malaysia (Kuala Lumpur) recently. Helsinki Business Hub is the investment promotion organization for Greater Helsinki. 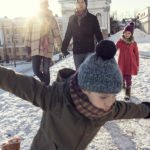 Funded by public sources – the cities of Helsinki, Espoo, Vantaa and Kauniainen as well as the Uusimaa Regional Council – Helsinki Business Hub identifies business opportunities for international companies and helps them thrive in the heart of business in Finland, Russia and the Baltics.